If you’re searching for the easiest DIY carpet deodorizer on the internet, you came to the right place. Consistent Carpet Care, also know CCC (yes, I made that up), should be a part of your regular household chores. Carpet cleaning is an art, and there’s a whole host of contaminants inhabiting your floors. If your house is starting to develop an unpleasant scent, but you can’t pinpoint the source, your carpet may be to blame. Over time, your carpet is going to begin to absorb foul odors. It’s the mixture of all the feet that have walked on it, pets that have laid on it, food that has been spilled on it, and much, much more. When it’s time to remove odor from carpet, don’t be so quick to call the professional. We recommend trying this simple carpet odor eliminator before you spend that kind of money. Don’t get us wrong; we don’t claim to have a secret carpet freshening formula that other people don’t have. 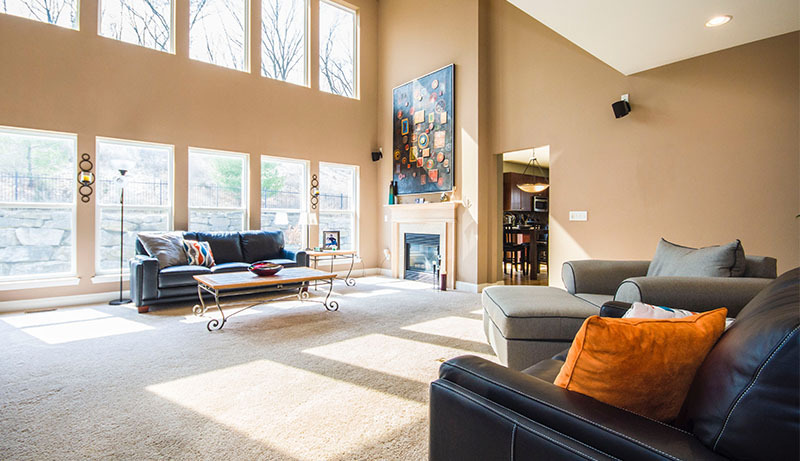 Our carpet deodorizer is composed of one (sometimes two, depending on preference) non-toxic ingredients and takes 30-45 minutes to complete the entire process (unless you have a humongous house with plenty of carpet). We wanted to show you how to get the smell out of a carpet on your own. Our step by step video will walk you through the entire process. Before you get too excited and start moving furniture around, you need to make your carpet deodorizer. To do this, you truly only need one ingredient: baking soda. The amount of baking soda you will need depends significantly on the size of your home. If this is a routine carpet freshening, then you won’t need a lot. If you are trying to fight off some severe smell, you’ll want a generous amount of carpet freshener. My general rule of thumb is two (2) cups of baking soda per 250 square feet of carpet. That amount of baking soda may seem overwhelming for a large house, but many homes consist of more than carpet flooring. Along with that, a 5 lb. bag of Arm & Hammer costs $3.70 on Amazon. For added scent, add a healthy amount of essential oil (any scent) and mix into the baking soda. Adding a scent will leave your entire home smelling fresh. Maybe you’re thinking, why wouldn’t I just buy pre-made carpet freshener? That’s a valid thought, but many carpet fresheners consist of harsh fragrances and only mask the smell, rather than absorbing the odor. Pro Tip: Don’t use the baking soda that you have sitting in your fridge; especially if you haven’t swapped that one out in a while. Use a fresh box instead. If you’ve gotten this far, it’s time to get rid of carpet odor with baking soda. If you’re like most people, you probably try to vacuum around all of the furniture. If you’re going to take the time to remove carpet odor, you might as well do it the right way. By picking up and moving the furniture, you’ll be able to reach all of the places you might usually miss. It’s also easier to keep track of the spots you have already neutralized. There’s no need for me to explain how vital vacuuming is for CCC (there it is again). The goal of this step is to eliminate the dust and dirt build up. Vacuuming is always essential, but when trying to eradicate carpet odor, dirt can be an issue. The application of the deodorizer is the most critical step of the entire process. You’ll want to apply the carpet freshener over the entire area. Don’t be shy, use the baking soda liberally. You won’t harm the carpet by using too much. Do your best to cover every inch of the area. How long should you leave the baking soda on the carpet? 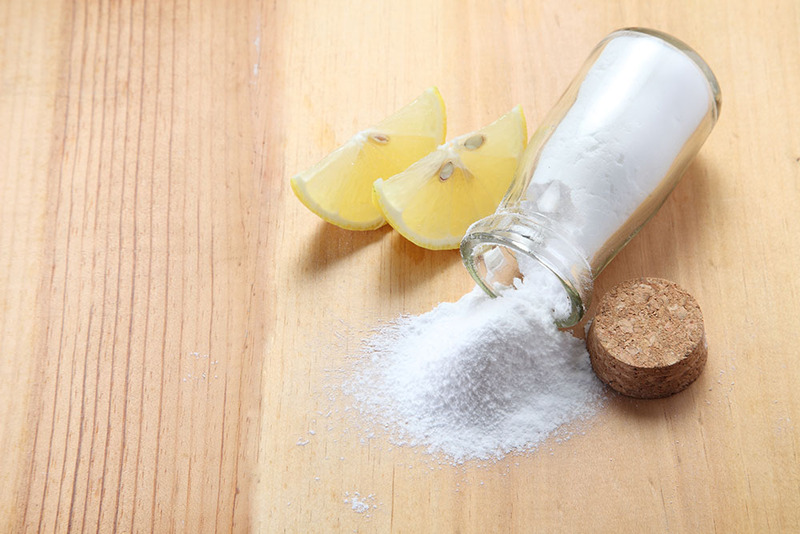 You want to give the baking soda time to absorb as many odors as it can. We suggest waiting 15-20 minutes (at least). You can use this time to catch up on some other chores. Once you’ve given the baking soda enough time, you need to vacuum the entire area all over again. 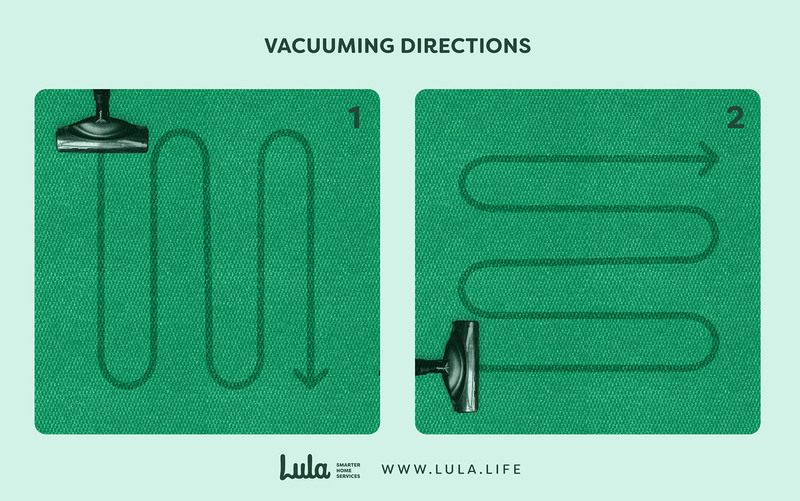 This time you’ll notice that there isn’t nearly as much dust or dirt in the vacuum. By this point, you should only be sucking up baking soda. You’ll want to follow the same pattern as the first time. If you’re going to get rid of that odor, you’ll need to extract as much of that baking soda as you can. You can repeat the process as many times as you want if you think there’s still some smell. Move all of your furniture back to its rightful place, and you’re finished! 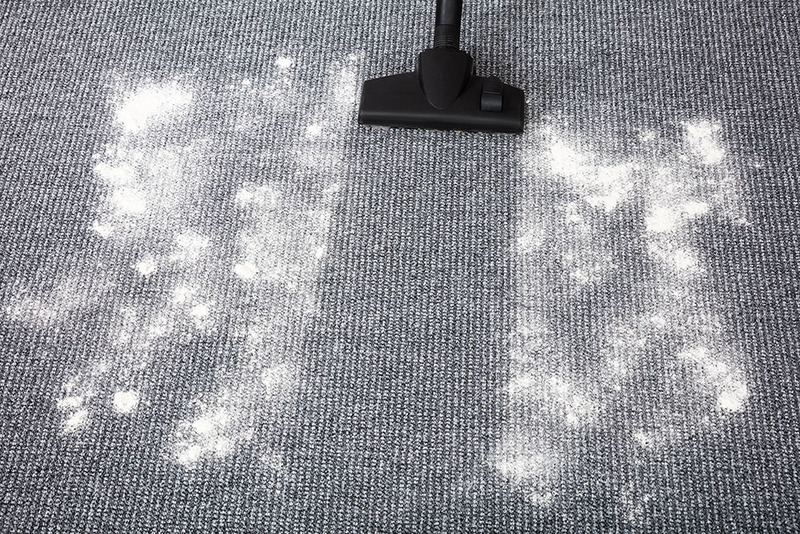 Using baking soda for carpet odor isn’t a fool-proof method. Some smells require more powerful forms of elimination. If this is the case, it might be time to look into a professional cleaner. You can check out the types of carpet cleaning, but I suggest hot water extraction for heavily soiled carpet. I hope this helps! If there’s something else you would like to see us do, let us know in the comments.